Semblance Makeup ARE YOU A VENDOR? 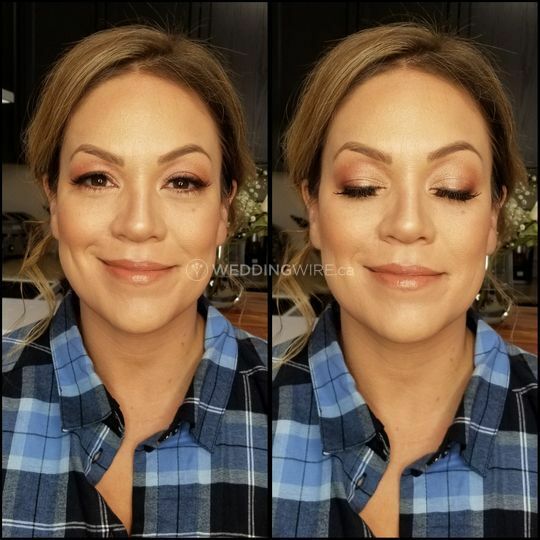 Planning your biggest day and want to look flawlessly gorgeous, then you are at the right place! 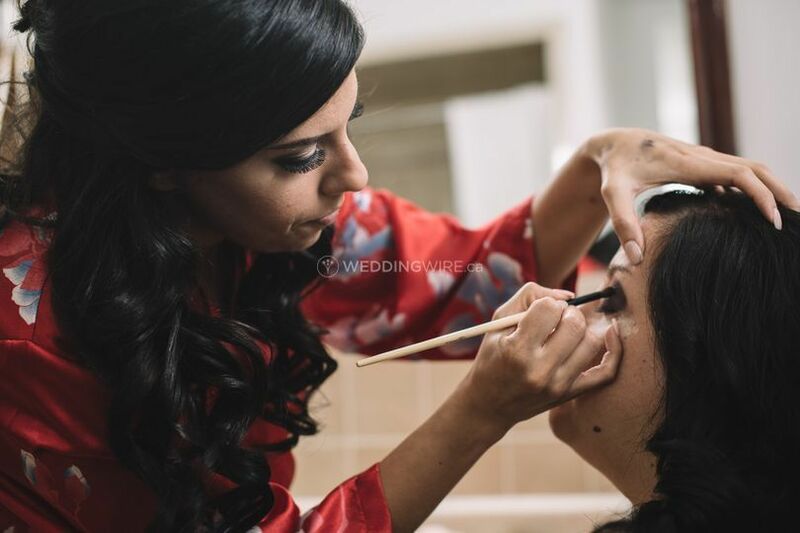 Semblance Makeup offers professional, affordable mobile makeup service for weddings and special occasions. This successful business provides the opportunity to glam up for your big day at the comfort of your home. 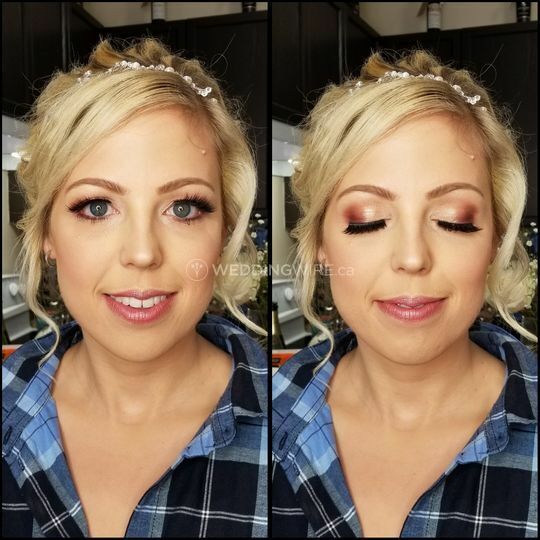 Semblance Makeup serves all of Simcoe County and surrounding areas. 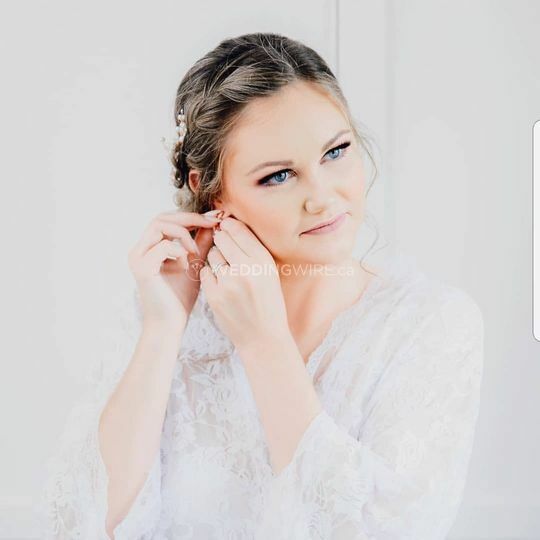 Semblance Makeup provides a number of services to transform into a stunning bride, without leaving your home, or the team will come to your venue or any other preferred location. Free trial is offered with booking and also free lashes with makeup application. The team boasts excellent expertise and experience to cater to different wedding style, from romantic to glamorous. 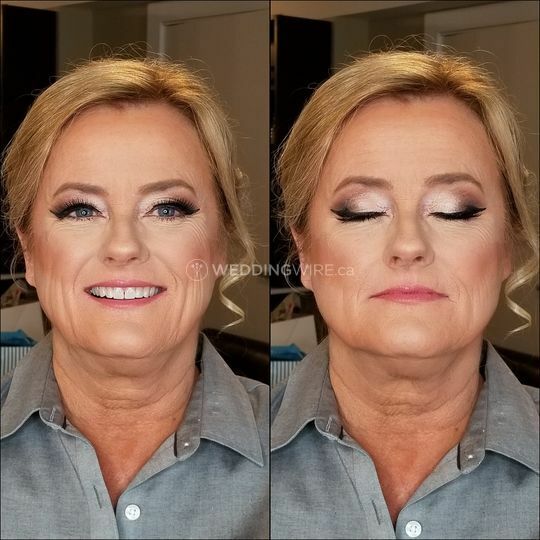 They can easily adapt their techniques to match your vision, and will provide a stress free, enjoyable makeup session. 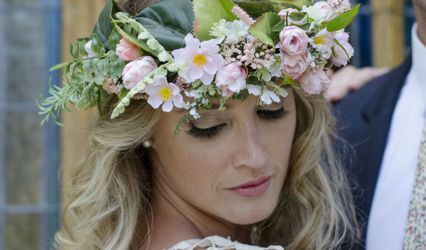 The wedding package can be customised to suit your price ranges and the services include bridal makeup and hair. 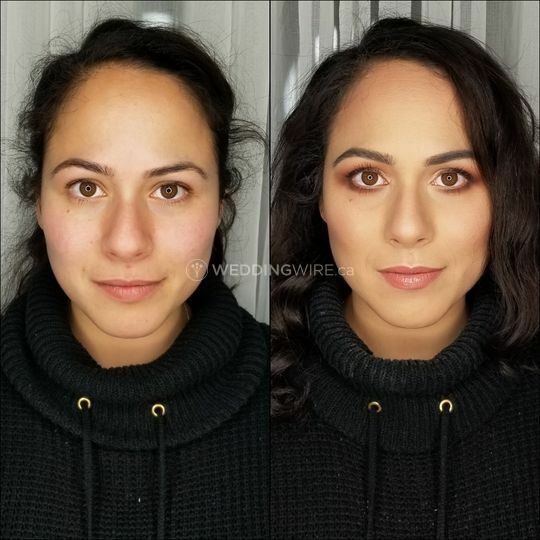 I had a really great experience with Semblance Makeup and highly recommend if you're looking for someone to get you all dolled up for a special event. Francesca is sweet, professional and listens to her clients. You won't regret choosing Semblance. 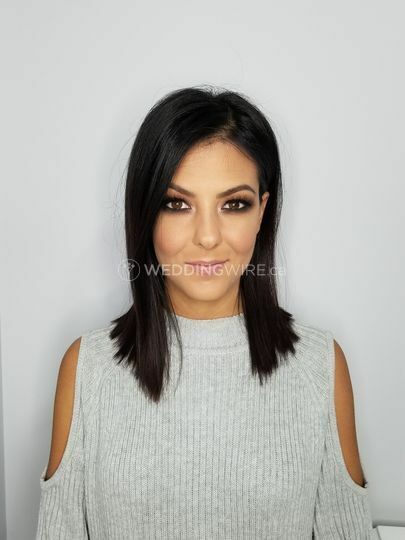 Francesca was so great to work with, she responded quickly to emails, and during my trial she walked me through all the steps as I'm a self confessed "non-makeup girl". She brought my vision to life, and when I look at the photos from our wedding day, I'm still so happy with how everything turned out. As someone who is extremely picky with my makeup I’m often hesitant and disappointed when I get my makeup done by artists who just comply. I hate looking like a clown or like I’m about to sing on broadway. Francesca is the ONLY artist who I trust will make great recommendations with what would suit my features and skin in combination with doing what I want. It’s rare to get exactly what you wanted and then some. 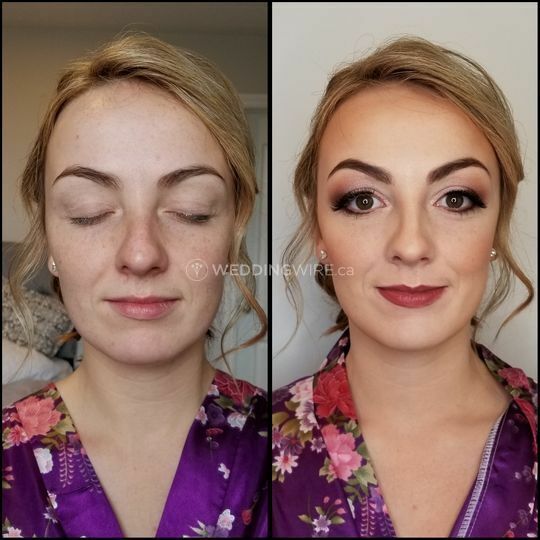 I’ve already booked her a few months after our initial experience for a wedding I’m maid of honour for because I can’t bare to get my makeup done by anyone else. When you find something good you gotta stick with it! Francesca is the kindest, most professional and super talented with makeup. Highly recommend! 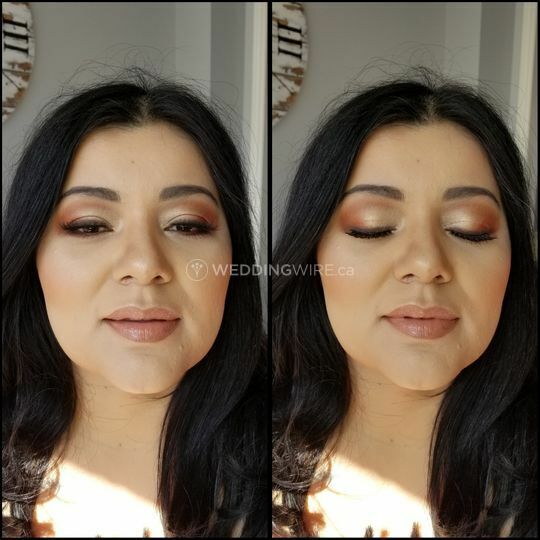 She is punctual and loves hearing her clients' input which helped her create the look I wanted. Would definitely call her again for a special occasion.